Near infrared, like far infrared, has many health benefits - but due to it's more energetic wavelength, it is harsher on the skin. Oven pictured above: Near infrared is close to the spectrum of light you see when a toaster or oven glows orange. 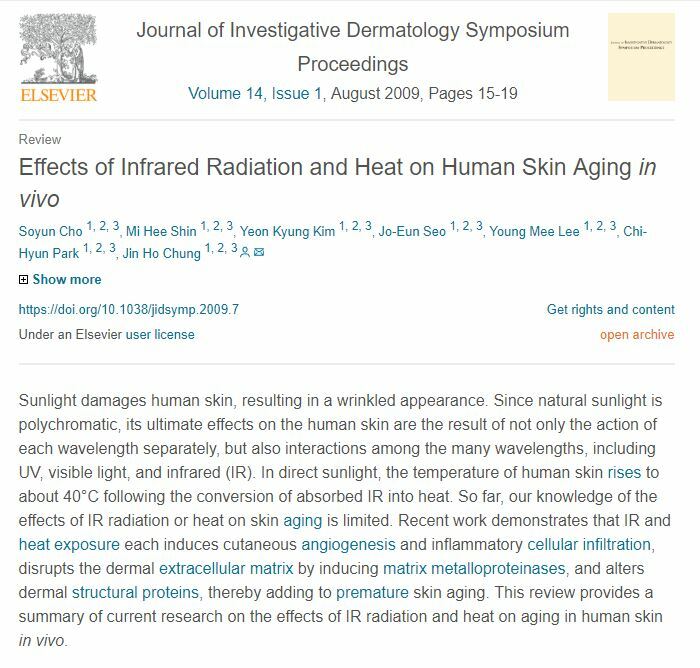 Summary: Studies have shown that near infrared can contribute to aging of the skin and increase in the risk of skin cancer. Another study showed that far infrared can actually protect the skin by stimulating collagen production. Studies show that near infrared causes the formation of free radicals in the skin, which depletes the body of antioxidants, makes the skin form scar tissue and ages it faster. Much of the research they use is based on near infrared lasers or LED lights and does not apply to their sauna. In short, near infrared is harsher than far infrared. Near and Far infrared are different and have different applications, apples and oranges. It is not really a which is superior question, but rather what is better for the results a person is wanting to achieve. If someone wants to raise their temperature, sweat and detox, research shows that far infrared is the best choice. Infrared is a part of the spectrum of light. Near infrared has a shorter wavelength and is therefore more energetic. Near infrared is in the wavelength of 0.76 microns to 1.5 microns. Far infrared ranges from 4 to 1000 microns. Humans send off a frequency of 9.4 microns, and water sends off a frequency of 8 microns . So 4-14 micron energy is pretty much the same as human energy. So they "Resonate". Near infrared is not absorbed by water as well, human skin even has developed to reflect up to 35% of near infrared to protect itself. Near infrared is closer to the ultraviolet spectrum which causes sunburn than far infrared is. Because it is close on the light spectrum to far infrared it has many similar benefits but it is harsher and therefore has some potential risks. The Relax Sauna's far infrared generators were specifically designed so that they would NOT generate near infrared due to it being harsh on the skin. The creators of the Relax Sauna knew about the potential skin damaging effects of near infrared and therefore designed the generators to stay within a tight temperature range so that primarily far infrared would be generated, as explained in the following video(the part about the generator begins at 5 minutes in). What are the risks of near infrared? Near infrared causes production of reactive oxygen species(ROS, aka free radicals). To counteract this, the body must use its own stores of antioxidants. This also activates genes in the skin which form scar tissue to protect itself, causing skin aging. Near infrared has been shown to damage collagen in the skin, making the skin age faster and increasing the risk of the development of skin cancer. Many of the claims made about near infrared are based on research done using near infrared diodes(lights) and lasers, not near infrared saunas! A misleading practice that many near infrared sauna companies have been doing is quoting research about near infrared that was performed using near infrared diodes and lasers. These devices use a concentrated light and therefore can penetrate the skin deeper. Look at the article citations on near infrared sauna website. Many of the studies listed are for LED lights and lasers. This can be misleading when the results of these studies are associated with near infrared saunas. Many pathogens and diseases cannot survive when the body's temperature is raised. This is the reason you get a fever when you are sick, the body is trying to kill the infection by raising the temperature. Far infrared is absorbed better than near infrared and so this creates a larger heat transfer when in a far infrared sauna. Because of this, health professionals have found that far infrared saunas are the best tool for creating hyperthermia heat treatment in their patients. A man tested which sauna would raise his core temperature faster. He used an Apple watch which tracked his body temperature and found that the Relax sauna was the most effective by far. He posted his review on Reddit here. This test backs up a research article which proves that far infrared heats up the body at a deeper level. 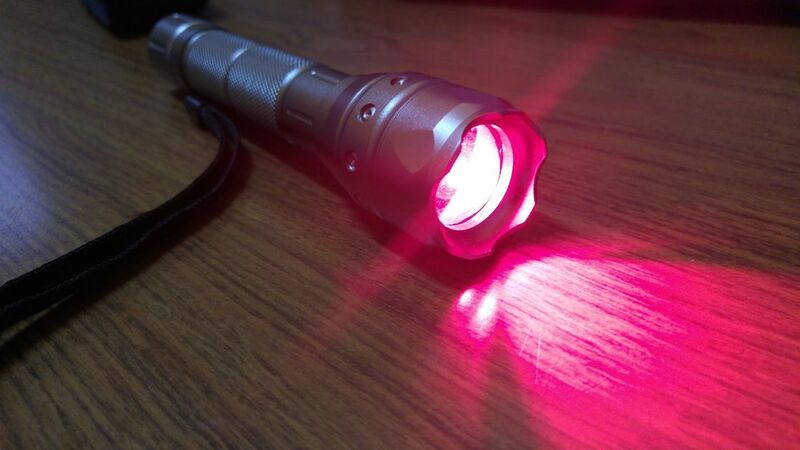 Research proves far infrared heats up tissue deeper and creates a higher blood flow than near infrared lamp.